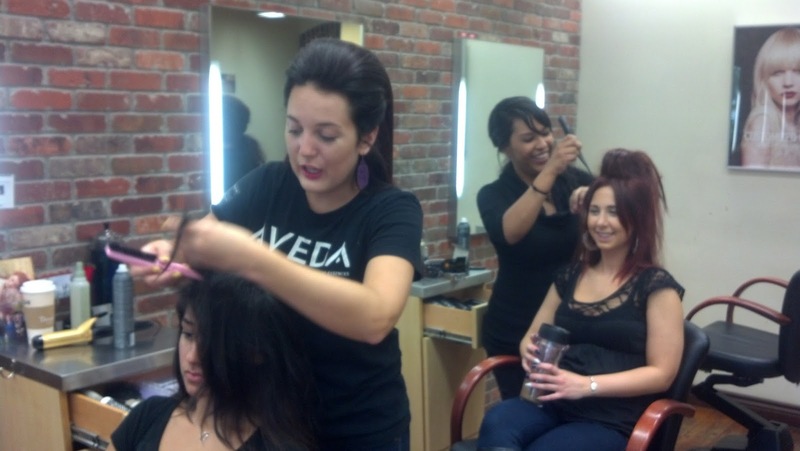 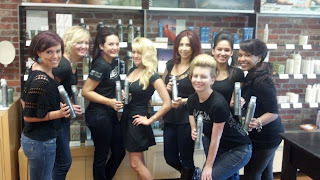 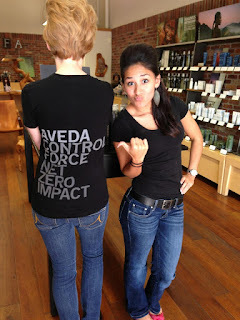 Last Saturday, our teams decided to feature Aveda's firmest holding hair spray- Aveda's Control Force. We love that aloe in the Aveda hairspray that allows you to brush through while keeping the firm hold. The rice bran provides UV and humidity defense for up to 24 hours. 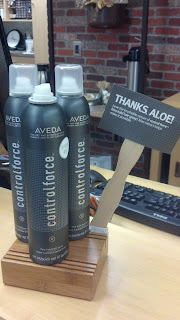 Why not feature this awesome product? 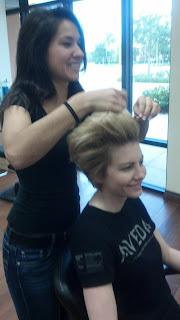 Our teams wore Sky High Hair to feature this Aveda product's firm, brushable hold in high humidity conditions (busy Saturday in a Florida salon after a tropical storm).